If your instance was created successfully, it will appear in your Compute Engine dashboard. First of all, Thanks for the valuble tutorial that helped me alot. 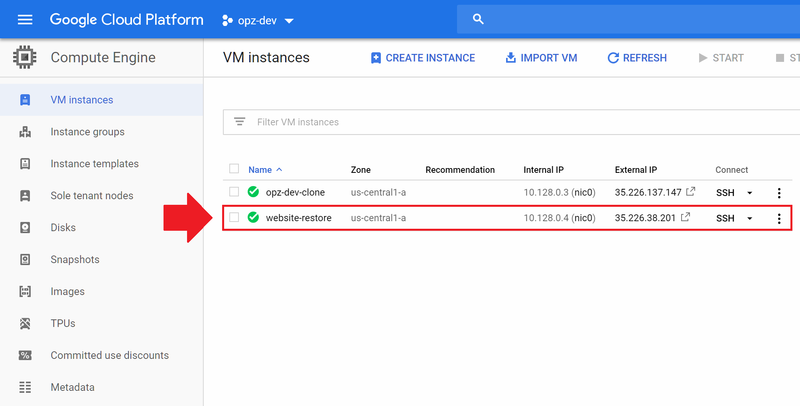 Make sure the instance has been created successfully before attempting to re-assign the IP address. 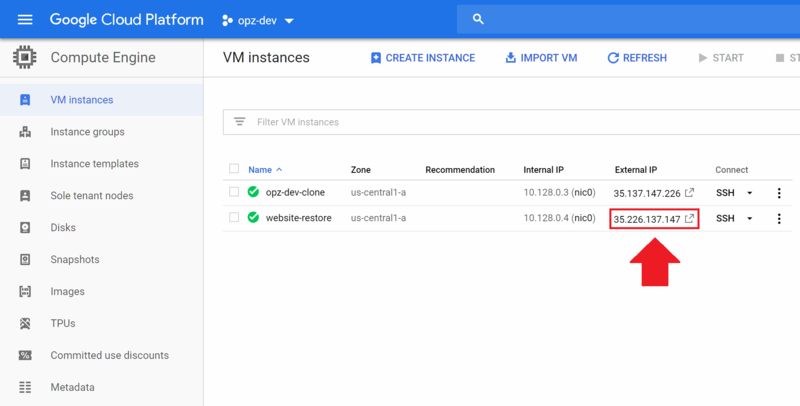 I too had the same problem (while attaching the IP to newly created instance, only old broken instance and ‘none’ option were present in the dropdown menu). I was in doubt, perhaps the new instance has to be created in the same region and zone etc. Am I correct? I don’t know why that would be – the snapshot is a disk replica of your instance, so if you had PhpMyAdmin configured on your original instance, it would also be configured in the snapshot. Did you install PhpMyAdmin when you first created the instance? Also, what do you mean when you say that /var/www/html is not showing? Are you using WordPress Click-to-deploy? I followed the instruction and encountered the same issue as Amr had earlier 2018. 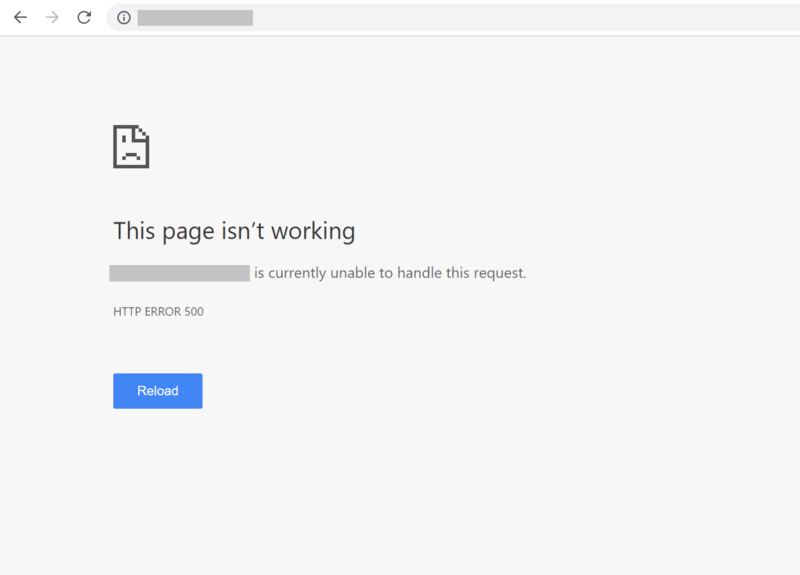 I could create a new instance with the snapshot, but when I entered its IP address in the browser, it got redirected back to the original wordpress site IP address. So I can’t really know if the new instance works as a wordpress site. The old thread by Amr did not actually had a follow up resolution for closure. May I know if anyone knows the cause of this issue? If you don’t have a domain name configured, make sure that your site URL is defined in WordPress with the IP address of the new instance, not the old one. You can access this setting from your WordPress dashboard by going to Settings > General. 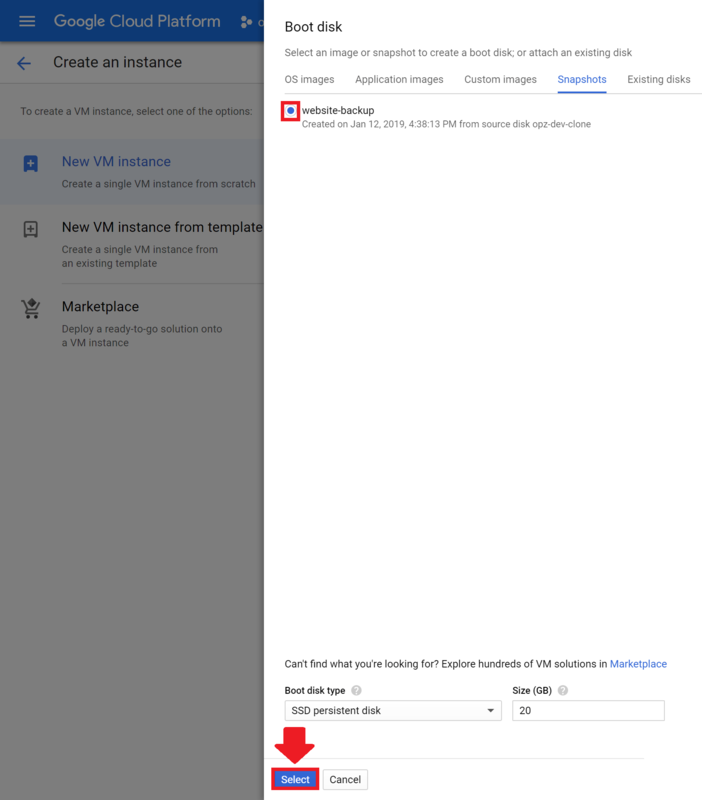 If you’re using a Bitnami stack, you will have to do this by connecting to the instance via SSH and change the Site URLs that are defined in your wp-config.php file. 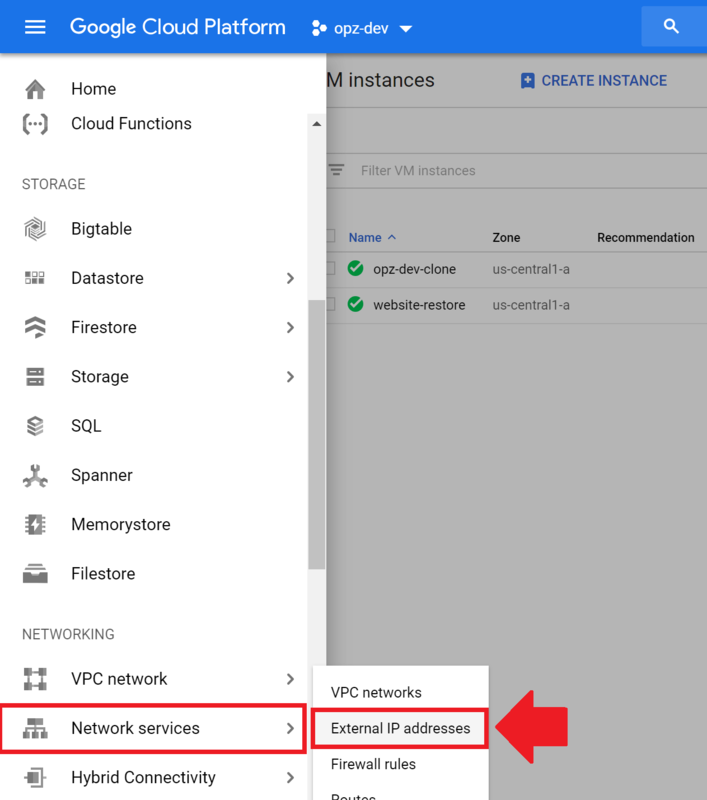 If you have a domain name configured, you will also need to configure your Cloud DNS and change the IP address of any existing A record to the IP address assigned to the new instance. Let me know if you have questions or need clarification on any of this. If you’re not using a domain name or a static IP address, then your instance was likely assigned a new public IP after it was restarted. Try accessing the website using the new IP address. Also, what application were you running on your instance? 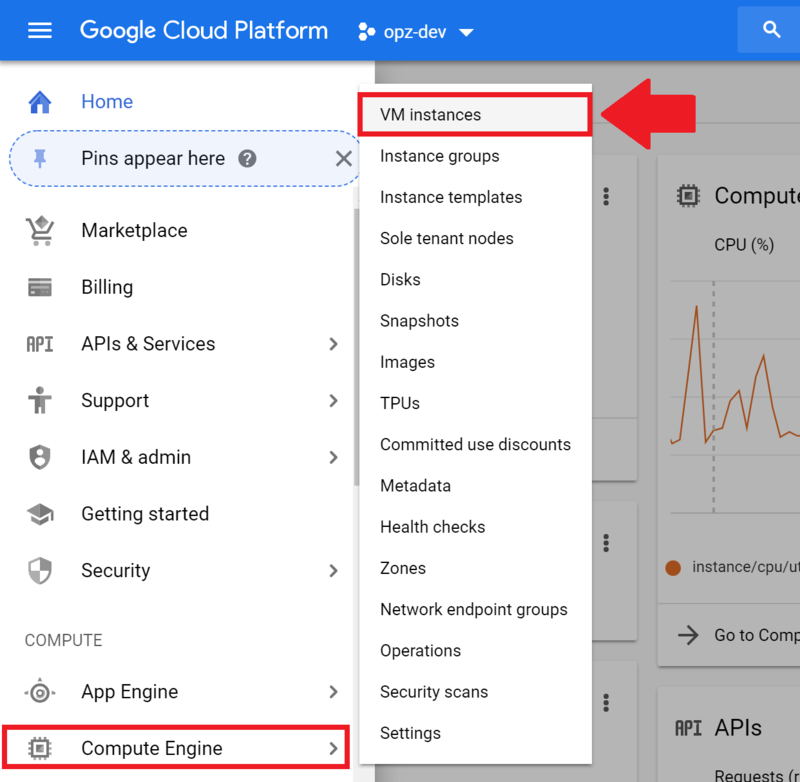 Did you check to make sure that your instance is running? Check out this list of linux commands to stop/start and view the status of your instances. Oh yeah, one more question. How do we set up cron jobs? Check out this tutorial about editing/managing cron jobs. Check out this tutorial to learn about how to create cron jobs. Let me know if you’ve found these resources helpful! 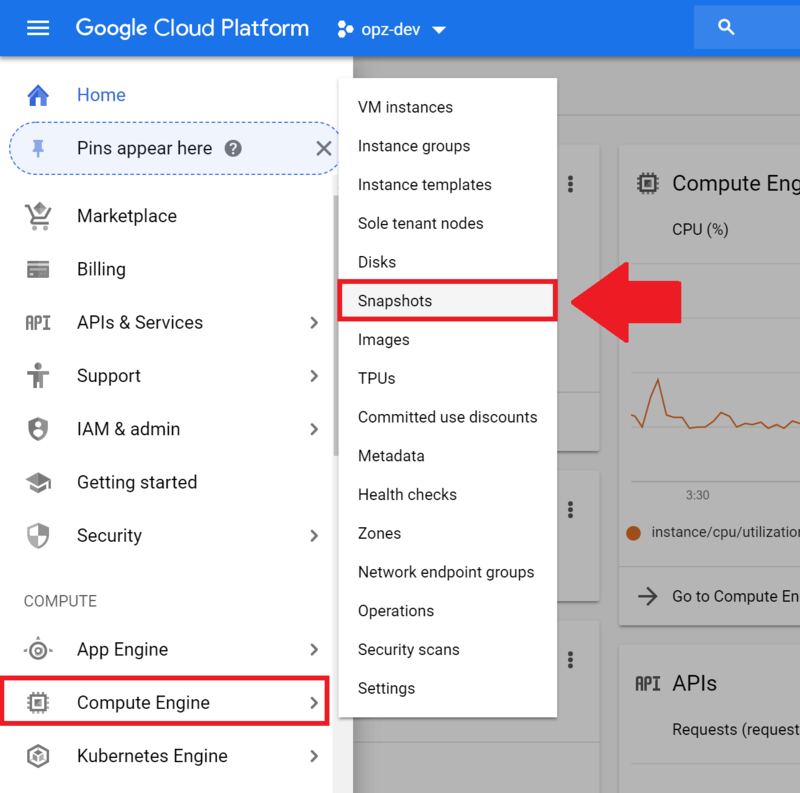 This may sound like a ridiculous question, but is there any way of setting up thigs on Google Cloud Platform without ever touchig a C-panel? If not, the if we follow all your tutorials and set up Bitnami, domain name, ssl and know how to do backups? Is that all there is to it? And the things just runs like putting my site on host gator? 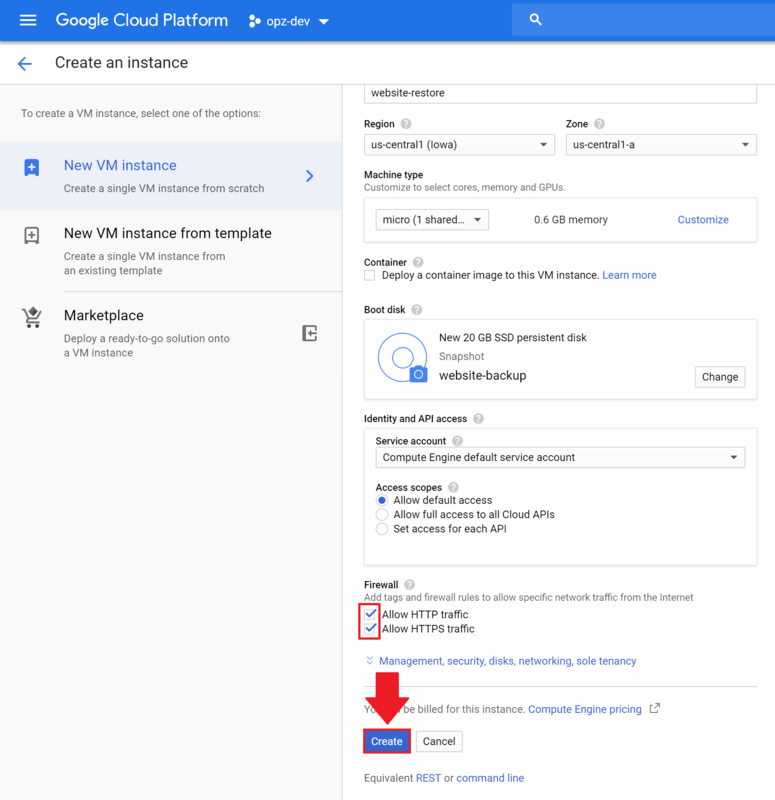 Lastly, how do we set up a CDN, Google’s CDN, the same one that is used for Youtube and Googles other stuff? Or is that not worth it? Yes – if you are an advanced user you could configure entire projects using the command-line-interface exclusively. I will do more tutorials on configuring site backups in the future. 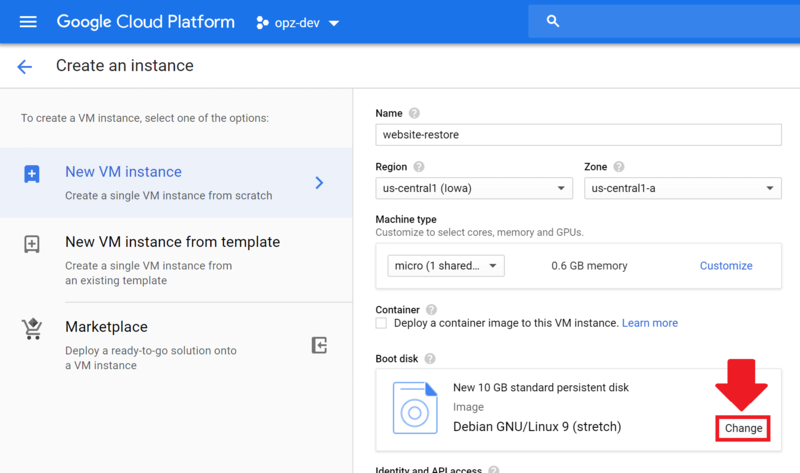 As you’ve noticed, Google Cloud Platform is fast, and a CDN is only worth it if you’re running large, dynamic websites that are serving large amounts of content to users across specific geographies. Video, large image files, file downloads – these are all types of content that should be served with a CDN configured. 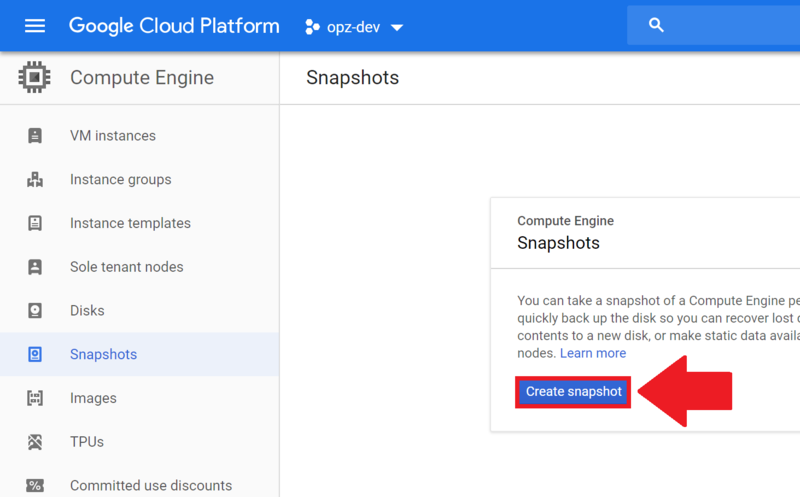 Is there any way to automate this process of making backups with the snapshot feature, plugin or otherwise?? There are multiple ways of automating the snapshot process; I will likely do a tutorial on it in the future. 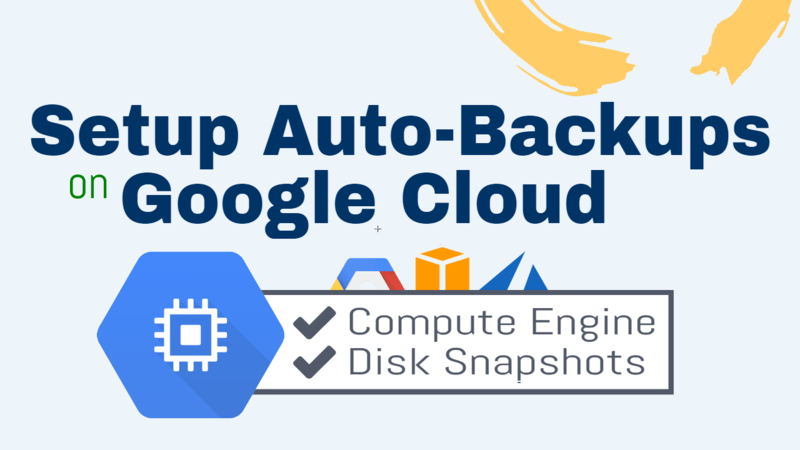 In the meantime, you might find this thread on Stack Exchange useful, as it provides information on how other people have automated their snapshot management process. Thanks for posting this comment! I am glad the tutorial helped you! I think it will be very useful for the people out there. That’s a great idea for a tutorial! It seems like most people like to avoid using plugins – and rightly so. i have a question, is that possible restore back to same instances ? Make sure that you have a static IP reserved. 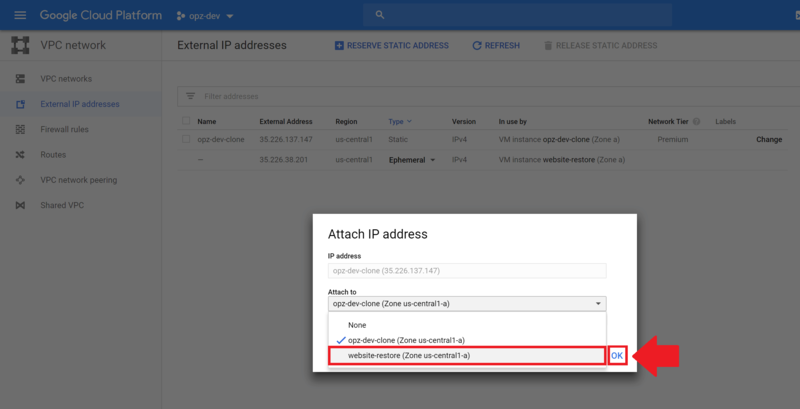 Then from the Google Cloud Dashboard left-column menu, go to Networking > External IP Addresses > and click on “Change”. 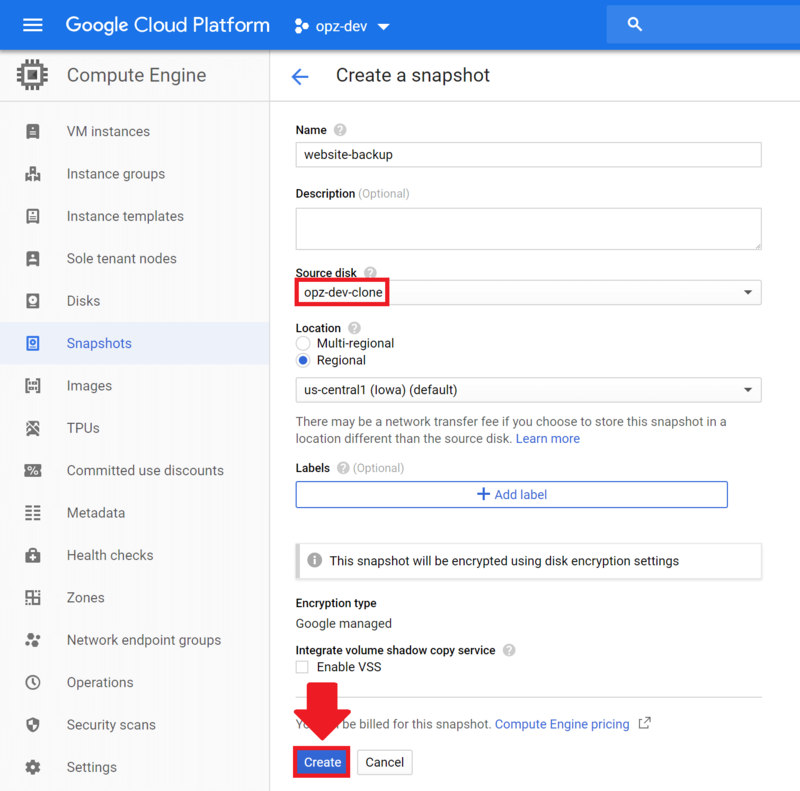 This will allow you to assign the IP to your new instance. Also, let’s connect on social media!